This 4-bedroom villa for up to 8 guests is located in Albufeira Centre and has a private swimming pool and. Estate (private use): approx. 1000 m2, closed plot (entrance gate), flagged floor. 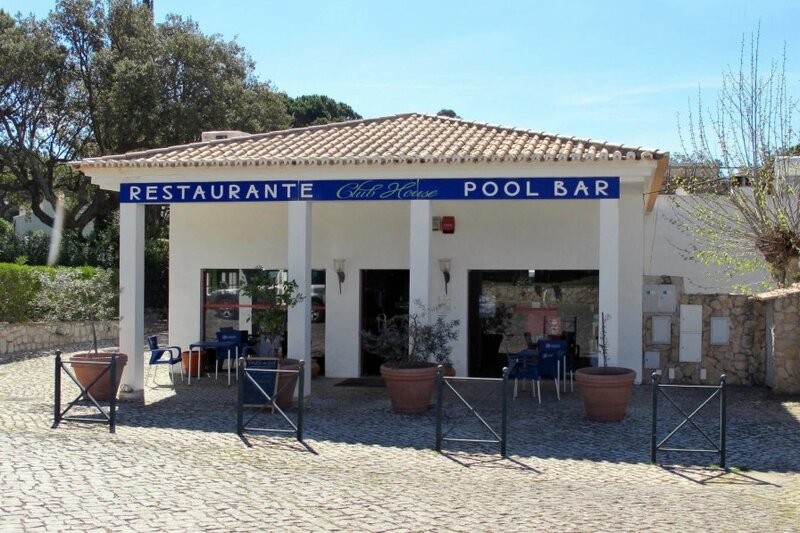 Pool (shared use): O 20.0 m, open throughout the entire season, children's pool. Please note: distance to the pool approx. 500 m.
Plot description: terrace (partially roofed), further terrace (partially roofed), roof terrace 100 m2, furnishing provided, 6 sun loungers, sunshades, brick barbecue. Private pool: Private pool: 6.5 x 4.0 m, 1.00 - 2.00 m deep, open throughout the entire season, pool maintenance 1 time(s) per week. Pool area: tiled. Center Albufeira in approx. 4 km. Next supermarket in approx. 3 km. Sea in approx. 2.3 km. Sea in approx. 3 km. Sandy beach in approx. 2.3 km (Santa Eulalia). Sandy beach in approx. 3 km (Oura). Golf course Salgados (18-hole golf course) in approx. 12 km. holiday property consisting of 2 separate houses, 8 people, 6 room/s, 4 bedroom/s, 4 bathroom/s, approx. 160 m2, 1 floor/s, year of construction 1999, renovated 2009. Please note: Non-smoking house. Living room 2: furniture suite, exit to terrace. Kitchen: separate, exit to terrace. Kitchen/ cooking equipment: 4 gas rings, oven, microwave oven, dish-washer, refrigerator, small freezer, coffee machine, water boiler, toaster. Bedroom 1: 1 x queen-size bed (1.60 m wide, 2.00 m long), exit to terrace. Additional information: direct access to sanitary no 1. Bedroom 3: 2 x single bed, exit to terrace. Additional information: direct access to sanitary no 3. Bedroom 4: 2 x single bed, exit to terrace. ● Please note that a late arrival fee of EUR 30 will be charged on site for arrivals after 10 pm. Local service charges none. Linen/towels available. Change of bed linen/​towels 1 x included for stays of 10 days and more. Deposit € 300 (in cash). Pet not allowed.